Composite decking disposal is totally different from traditional wood. In fact, it’s so different, the disposal or rather, recycling process is entirely something else. This is due to the fact that composite isn’t wood. And, it functions differently than its pure wood counterpart, which can mean early replacement becomes necessary. Also, it’s more expensive to replace and it doesn’t not fetch a strong ROI. Composite returns 68 percent of its cost while traditional wood returns 80.5 percent. Now, before we get into the actual replacement and materials disposal, let’s explore just why it’s so difficult to get rid of composite. Well, as mentioned above, it isn’t all wood. Though a high percentage is made from sawdust and wood waste, it’s also made up of plastics and more. Therefore, it can’t be disposed of in the same manner. Composite must be recycled. Unfortunately, this means a bit more work for homeowners who need to scrap their composite decks. Although composite is very strong but it’s not permanent or impervious to damage. Actually it is more susceptible to mechanical and other types of damage. This means composite can swell, it can mold or mildew, it can warp, or fail. Clear the deck. Just like any deck replacement, the job begins with clearing the fixture of everything. Remove any furniture, decor, and anything else. Put it all out-of-the-way so you have ample room to work. Take it to a recycling facility. After removing the composite boards, you can disassemble the frame and then haul it to a recycling facility. Call a junk hauling service to pick it up. If you don’t have a truck and trailer to haul away the materials, you can simply bring in a junk removal service to do it for you. 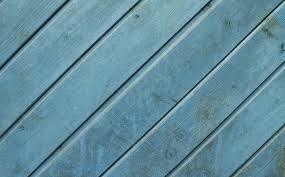 If you need composite decking disposal and removal, just phone 800-433-1094 or visit Junk Garbage Removal.